Without a doubt, Barbie Imperial is truly one of the rising stars in showbiz. Many knew her for having an angelic and sweet face. 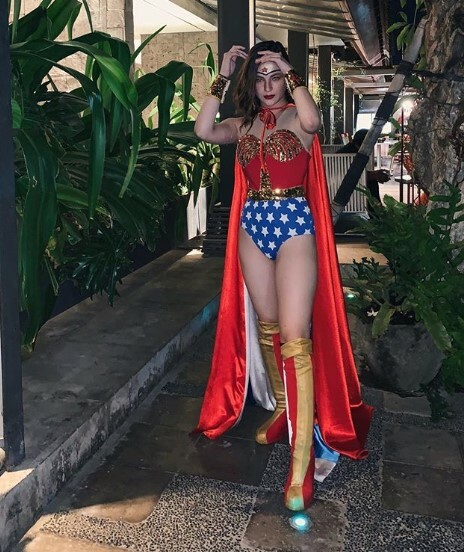 For this Halloween, the Kapamilya actress decided to veer away from this image and channeled her inner superhero. Recently, she surprised the public with her fierce “Wonder Woman” transformation. In the said photo, Barbie donned the iconic outfit such as the golden tiara, corset, bracelet, red boots, and cape. At first glance, one might have difficulty recognizing her for the amazing transformation. It is not surprising anymore that her Halloween costume drew the attention of the netizens. Many of them praised Barbie for nailing the entire look starting from the costume, makeup, and especially how she gave off a strong aura with her pose. Meanwhile, her fans did not only felt astonished with her costume but also experienced “kilig” due to her sweet exchange of comments with “Araw Gabi” leading man JM de Guzman. As of writing, the photo racked more than 177,000 likes and almost 2,000 comments.